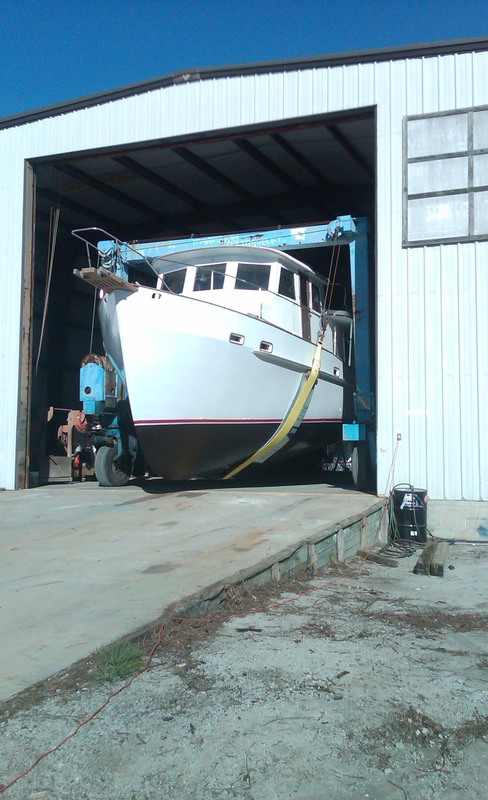 Bridgeton Boatworks has recently become one of the most popular and respected boatyards on the Neuse River. That’s because we are committed to provide you – the boating customer – with professional work done in a timely manner. Our facilities, equipment, and expertise continue to grow each month. We’ve done extensive rebuilding and expansion of the old boatyard infrastructure that existed here and we continue to make improvements all the time. 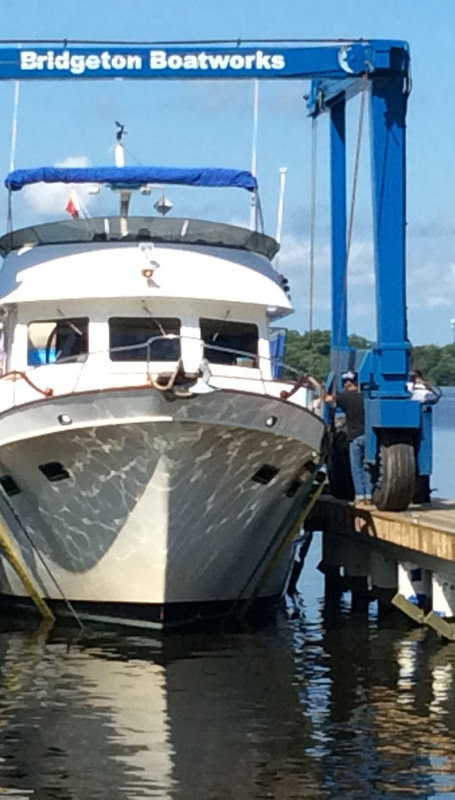 Our fully rebuilt 35-ton travel lift has been joined by a 77-ton travel lift (the largest on the Neuse River), giving us the opportunity to haul almost any boat. We’ve rebuilt and extended our travel lift slip by 44 feet and changed its angle with respect to the river, giving us 7-plus feet of depth in normal wind conditions. Boat slips have been added for working on boats when a haul-out is unnecessary and as a staging area for boats to be hauled or delivered. A boat ramp has also been added to accommodate multi-hulls that can be hauled with our hydraulic trailer. An adjacent lot to the boatyard was acquired so that we can continue to grow and expand. We’re also adding equipment every month so our range of services and capabilities can match your every boating need. Managing our growing boatyard operations and serving as our customer interface is Mike Webber. His extensive experience includes working at this yard many years ago. Mike was also a Group Leader and Quality Assurance Inspector at Hatteras Yachts for 16 years, as well as a Yard Master Carpenter at Jarrett Bay. His being a farm boy doesn’t hurt either. He is driven to perform the job of satisfying our boat owners. His wife, Ginny, joined us in 2014 as the office manager, and she coordinates Mike and our boatyard team. Our team includes skilled craftsmen in master carpentry, fabrication, mechanical, electrical, plumbing, fiberglass and vacuum bagging and all types of topside work. The original boatyard where we are today was next to what locals know as the “Harvey” property. It was home to the Harvey Cafe and truck stop built in 1951. The old boatyard had been run by several owners including Erik Lie-Nielson, John Walsh, and Willie Stallings. The old boatyard has a lot of history, being, among other things, the place where San Juan 21 sailboats were completed. Today the New Bern San Juan fleet remains the second largest in the United States. As the current owners – Bridgeton Marine, LLC – we acquired the Harvey property in 2008 and the adjacent property in 2013. We continue to expand our boatyard. Today, the old Harvey Cafe – the focal point of the property – has been converted into our office. The 6,000-square-foot shop (“The Barn”) has been upgraded and is used for all sorts of boat repairs and renovations in the hot summers, freezing cold and on rainy days. The old original boatyard office will be converted in the future to a lounge for transient boaters.